What is SPECIFIC Canine Special Care Struvite Management dry food? SPECIFIC Struvite Management is a dry food for adult dogs that suffer from struvite stones. The formula has been designed to help dissolve the stones and reduce the risk of new stones forming. The recipe contains high levels of Omega-3 from fish to support healthy coat and skin. This diet helps to produce more acidic urine - this helps to dissolve struvite stones and supports a healthy urinary tract. It also encourages the dog to drink more – flushing the stones out of the urinary system. The reduced Magnesium and Phosphorus content helps to prevent crystals re-forming. 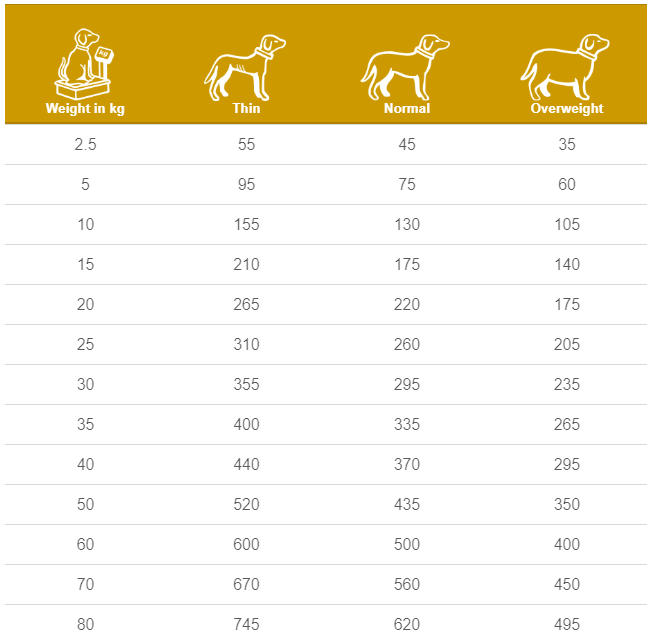 Please Note: This diet is not suitable for dogs with calcium oxalate, urate or cystine stones. For these conditions, SPECIFIC Heart & Kidney Support or SPECIFIC Food Sensitivity are recommended. This food is suitable for adult dogs with struvite stones. 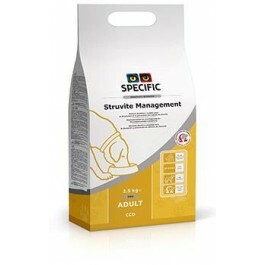 What are the benefits of using SPECIFIC Canine Special Care Struvite Management dry food? What is in SPECIFIC Canine Special Care Struvite Management dry food? Crude Protein 21g, Crude Fat 19g, Carbohydrate 44.7g, Crude Fibre 1.7g, Calcium 0.54g, Phosphorus 0.38g, Magnesium 0.05g, Sodium 0.5g, Omega-3 0.33g, Water 8.5g, Ratio n-3:n-6 1:8. 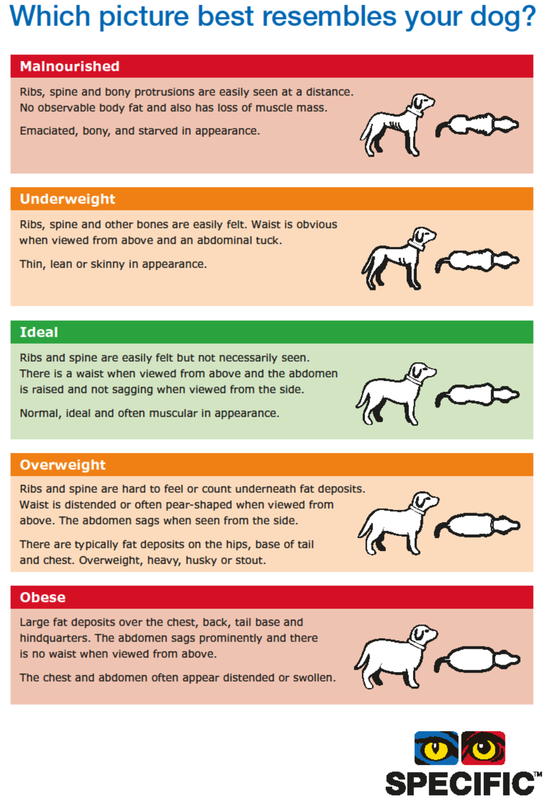 How much SPECIFIC Canine Special Care Struvite Management dry food should I feed? The increased Sodium content promotes that the dog will drink more - this is associated with reduced urinary mineral concentrations and an increased urinary frequency. By dividing the daily ration of SPECIFIC Struvite Management into 3 or 4 meals, any postprandial increase of urinary pH is minimised. Struvite urolithiasis in the dog is often associated with urinary tract infections. When a urinary tract infection is present, SPECIFIC Struvite Management will only be effective if the infection is treated. Struvite Urolithiasis is only one type of urolithiasis which may occur in dogs. identification of the type of urolith present in an affected pathient is essential because different types of uroliths may require different dietary strategies.